There is a problem for blogger or web writer that is picture. If you are posting your own pictures then should be no problem at all. But for most of us, we don't write stuffs about our-self only, we write topic for the benefit of others and pictures would be a big problem. I always go to look for pictures in google, you can use the advanced search to filter out those that need to be pay, and left with free for commercial use. However, usually there are very few quality pictures we can use. There are other free picture website but you still have to filter out those with copy right. It took some times to do it every time you write a post, and that is very troublesome. I found a collection of 1000+ royalty-free photos. According to the website if each photo worth $5, it would be over $5000 worth of photos, free for everyone! You can download the sample of the collection in low resolution to see if they are worth it to download all of them in full resolution. I am in progress of downloading the full resolution by the way. This Caffeine is not Starbucks or instant coffee. This Caffeine is a simple program to keep your PC or laptop awake. 1. you are using someone else laptop/PC, the sleep time on this laptop/PC could just a few minutes and if you are doing a presentation on it, it will be very annoying if every few minutes you need to shake the mouse to get it up from screen off or sleep mode. 2. you are day-dreaming in office, but you don't want the boss to notice it because the screen will be turn-off. 3. some websites will expire if your screen is off and locked, you want the website thinks you are still on it, even though you are not there. Caffeine might be useful in these situation. How it works? Simple, by emulating pressing of F15 key. F15 does not exist on most of the keyboard, therefore it will not change your program or anything, but keep the computer/laptop/PC awake. You can also change the default setting to something else, but you have to do it using switches and launch it via command prompt. You can also make a .bat file with the switches that you want and double click on the .bat file every time you want to keep your PC/laptop awake. 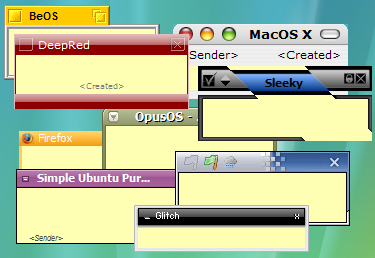 I believe a lot of Windows 7 (and Windows Vista) users have used Sticky Note gadget at least once. 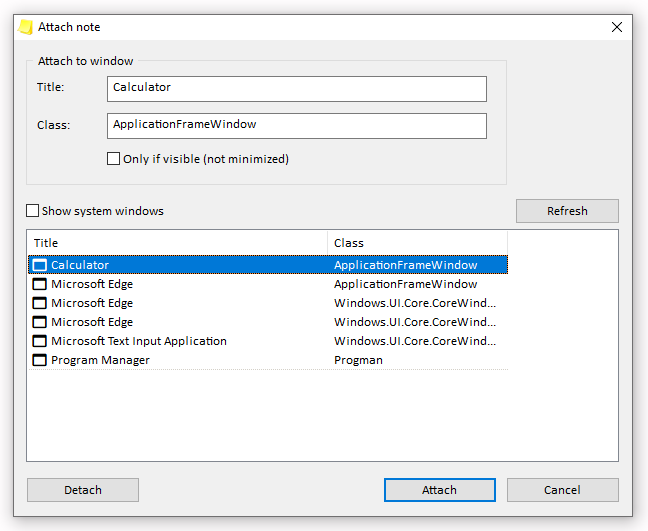 For those that like to use it or depend on it very often, the sad news is the later version of Windows 7 does not include Sticky Note. This happen to me as well. My first Win7 OS does has Sticky Note, and it did save some tree from some forest on this Earth. However when I got my new laptop, it is a more matured Win7, but Sticky Note disappear from the gadgets. Did Microsoft want to destroy more tree? I don't know. Anyway, I found this freeware, or free apps which more people call it that way on every single software (except OS). This apps is Stickies. Hey, this is the 4th post of waste time post on this week! I am breaking my own record on this blog. Yippee yeah? Anyway, enjoy this Batman Theme from Pomplamoose. Since I already posted 2 waste time post this week, why not make it three waste time post? Anyway, I found this, and somehow to is very true for me, sometimes. Hey boys and girls, waste time Tuesday is back. What do you think? Same movie? If you are stuck with stock ROM and does not wish to root it. Or if your Android will not get Jelly Bean anytime soon. Or the manufacturer just keep on forgetting to update your Android OS for you. For any reason, here is a relief for you, you can enjoy Jelly Bean (Android 4.1) lock screen without need to root or install custom ROM. Any stock ROM would works. For any Android 2.2 and above. LittleBits is a new startup that offers a very interesting but yet simply and easy method to learn electronics. Unlike Squishy Circuit which really get your hand dirty, your hands would be really clean with LittleBits, if you choose so. Feel UX: another Android skin? Android is like the Windows Mobile, you can skin it, change the theme, change the launcher, change the lock screen, you name it. iOS is one of worst, you are pretty much stuck with the default lock screen, theme, unless you jail-break it. Feel UX is from Sharp (yes, the LCD and refrigerator manufacturer) and Frog (a design firm). It is very different from Sense UI of HTC or Optimus UI of LG or iOS. See the video first. Would you like to get one? Too bad Feel UX or the Sharp smartphone is for Japan market only. Why Japanese company just want to do it in Japan only, why not aim international? 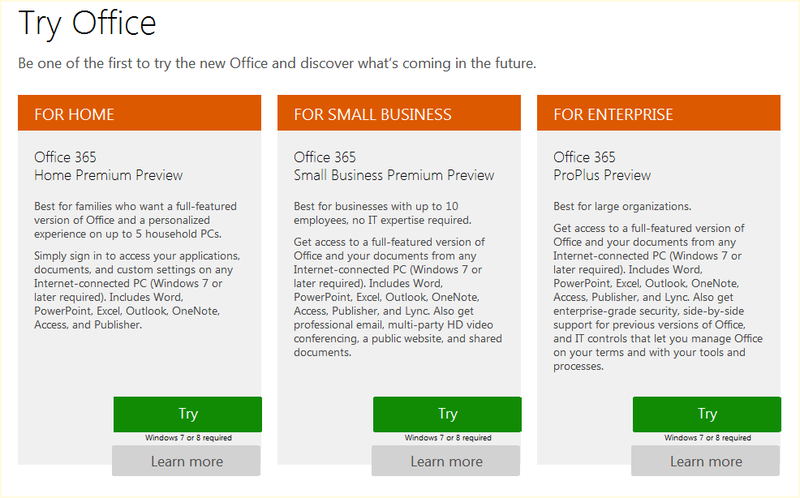 Microsoft is giving out free trial on it's latest Office 365, the cloud based MS Office. While previous version of Office 365 allows only corporate users, this new Office 365 open up to personal users as well. What Office 365 anyway? Basically you don't need to install hundreds of MB of Office files (if not GB) into you laptop or computer. All you need is to install a very small program from MS and internet connection. Everything you do will be through internet connection, and then the cloud server will store all your works (SKyDrive in this case). If you already have hotmail or Windows Live account, you can directly sign-in with the user name and password. Okay, here come installation time. I need to download the setup file which is smaller than 1MB. Wait a minute, I am using Windows 7, the original version. Yes, I have validated that through some MS genuine validation tool. Now why you say I am not Windows 7 or above? I was too lazy to find out the root cause. Therefore this post. However I am still able to create new MS Office docs or edit them on SkyDrive. The interface I used I supposed is Office 2010, not Office 365. 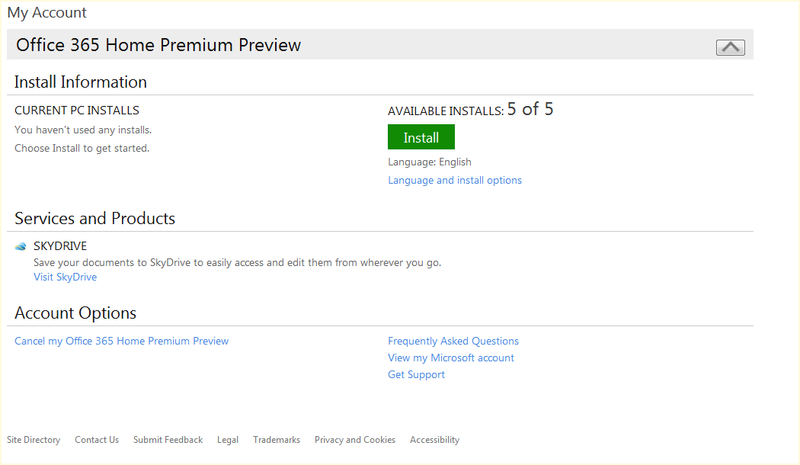 Come on MS, please give me a break, if you really want to give out free trial, please make sure everyone can install it. Thanks. How many time you left your smartphone at home when go for travel? Never! Only just a few years ago, when smartphone is not as good as computer replacement, some people would bring along their laptop when going for travel. But as you know "how light" is the weight of laptop at the time, even with the lightest one. Nowadays the smartphone as good as a computer, except the screen still smaller, but surfing internet, facebook, tweet, watch movie, everything that you need on a computer. In fact, iPhone and Android have more interesting apps than PC and Mac. Of course PC and Mac have more useful software, but for interesting apps, iPhone and Android still the best. Stay.com is website the provide travel guide for free. Now they even offer their apps what works offline for free! When I went to Tokyo on April this year, I was using TripAdvisor which also offer tips and advise that works offline as well. We need to know that data roaming is very expensive for most of the country. The cheapest data roaming being offered in Malaysia is RM30++ (~US$10) per day! See the video of what stay.com can help to plan your next trip. Who got the biggest slice of cake (market share) in US smartphone market? According to Nielsen, Android OS hold the biggest share market, followed by iPhone. The charts below are based on Q2 of 2012. Apple is the biggest if we count by company, but when Samsung, HTC, and Motorola and other Android phone maker join forces, iPhone drop to 2nd place, muahahaha. I am surprised that Windows Mobile (WM in the chart) market segment is still bigger than Windows Phone7, plus Symbian, plus Palm/WebOS. Hey, not bad for a very very old mobile OS. I am still using my HTC Touch Elfin, which runs on Windows Mobile 6.1 Professional. So, who is your pick for next smartphone? For me, I am definitely go for Android. GUI, ever since Steve Jobs invented Mac OS and Bill Gates make GUI to even greater height, all we know is Windows Windows Windows. Unless you are a full-screen guy (or girl), I am sure you will have various size of each windows. When I write blog, I need to refer to something, I will put them side by side. And after that, even un-snap from the edge of the screen, it don't really go back to original size. And I don't care, because I can resize it with a mouse. However when I want to test my blog on a specific resolution, it because a headache. Luckily Sizer come to the picture. 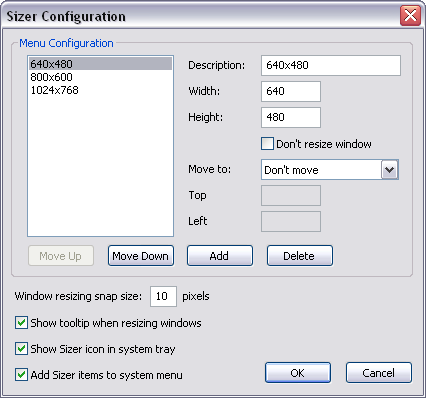 Sizer come with installation and portable version (Yeah!). The default setting are 640x480, 800x600, and 1024x768, these are the lower end of the screen resolution. But most of the time we need to make sure the website or blog we designing is fit into these resolution, so that even the people that using lowest spec can see read website or blog (netbook, ring a bell?). You can also customized to any Windows size that you want in the setting. You probably already know that Facebook bought over Instagram few months ago. But do you know that how Instagram doing after being bought over? Well, lamebook.com have some idea, here is what they think FB Instagram will roll out new filters. Personally I don't know why Instagram is so popular and why (some) people like it. It is just a bunch of badly photoshopped photos. Oh wait, that make sense that Facebook bought it over. On this lazy Sunday, why not read up a infograph on all about rare earth metals and it might give you a clue on why "Stop Lynas", "Stop Lynas" and "Stop Lynas". Cheers! No Penang Uncle waste time post today, just a video of "What a Wonderful World" from cdza. Okay, it is not only for geek. If you want to transfer files between servers in different domain, or between your friends or family, in secure way, SFTP is a must. The first "S" on SSH and SFTP means secure. I used to use putty. Someone told me to try SilverSHielD. I don't care what kind of feature it has, what I want are SSH and SFTP only. There are Pro and free version (as always), free version only allow 3 simultaneous connections from a single client and not for commercial purpose. If you want use for commercial, you should buy Pro version, which cost US$39.95. GizmoChina found a clone Samsung Galaxy S 3 selling on China. The model is HDC Galaxy S 3. The deal is you are getting Galaxy S 3 made by HTC(?). For native Chinese speaking people, D and T sound the same, therefore HDC would sounds like HTC. Alright now this fake phone is a hybrid of Korean and Taiwanese, best of both world? meh. This is very usual in Chinese. DealExtreme and some other Chinese website were selling phones and smartphones like Nokla, iFon, and HDC. Nowadays they don't put the brand, they just put the model which sounds like the real deal, like X10i, B79, and 9100. Anyway, Samsung Galaxy S 3 is the next victim. The exterior looks almost the same with 4.7-inch TFT screen, 1GHz processor, 512MB of RAM and a 5-megapixel camera, which cost about US$200 only. Wow. Bandizip: just another zip or power house? Zip zip zip. Sometime if you tell a co-worker to compress a file, he/she would look at you and show you a face of "that the **** you are talking about". However if you say zip it, then everyone know what to do. Even though it already improved, but ever since I switch to 7-Zip, I never look back. Every time I change a new computer or laptop or install a new Windows, one of the first software to install is 7-Zip. 7-Zip don't have any fancy interface, but I don't care, what I care is the features and easy to use. There are installation and portable version for Windows (yeah) as well as Mac OS X. And yes, it is free. What is Nexus Q? Google named it "The world's first social streaming media player". Well, it is like the media players that you can get from China, but with Google brand on it, and looks much more cooler than the Chinese designed media players. Few days ago I wanted to send an email to those invitees that accepted my meeting request. The meeting request was scheduled in Outlook and it was being forwarded to other departments. Outlook don't have the feature of just replying to invitees that accepted. The only option is to reply to all, meaning those that never response to the meeting request will also receive your email. Personally I dislike the actions by some people that "reply all" without filtering the recipient. So how to avoid it? After some research (google, what else? ), I found the best solution. Before I put down the solution, this is the method that I used. 1. Click "Reply to All" on the meeting request, but do not send the email out yet. 2. Open the meeting again, click on the "Tracking" on the ribbon. 3. Go through the list and remove those names with response are "None" or "Declined" from the email. Boy, this is very painful even with less than 30 names. Okay, here is the best solution. Note: for this to works, you need to enable "Request Responses" for the meeting request. This should be the default setting unless you turn it off for some reason. 1. After you sent out the meeting request, you will getting "Meeting Response" from invitees. 2. Open any of the "Meeting Response" of the same meeting request, copy the list of emails/names that in the "Accepted" row. 3. Start a new email, paste the list into the To or CC box. That's it. No problem and less hassle. Nexus 7 is the first table designed by Google. There are endless of video of Nexus 7 review on YouTube. I found this review video by iFixIt is one of the good one. So watch the video first and then read the teardown. I wonder how the face of people in branding or marketing department of Microsoft look like when they saw this. Anyway, Internet is a wonderful place. You have do a lot of things with it, including offering (free?) rebranding service to a multinational company. Personally I like this idea very much. Time to change Microsoft? Anyway, someone created this video about evolution of Formula 1 Car. Starting from 1950 until 2012. The top left is how the steering wheel looks like, just beside to the steering wheel is the number of pistons (or the type of engine: V6, V8, V12, V whatever). Have a nice weekend btw. Please be extra careful when you want to try it. I am not responsible if you burn down a house/building/forest because of this video. Do it at your own risk. source: wild wild crazy web! The very first method that Facebook suggest us to get more likes on our Facebook page is send out notification to friends in our personal Facebook account. My thought: this is the worst method! Unless you are the marketing director and you ask all of your 100 over people that work for you to like the Facebook page. Email/Skype/MSN/WLM/YM/Whatsapp/etc (whatever communication method) your friends and family, and ask (beg) them to like your Facebook page. Good: Some nice friends would like your Facebook page. Family members could or could not like your Facebook page. Bad: You have to beg and beg with each of them. Time Consuming. My thought: Asking favor from other, in return you have to spend more time to response to the favor asked by them. Yes, if you google "buy Facebook likes", you will find more than hundreds of website/organization are offering this kind of service. Good: Number of Facebook page Likes increase very fast! Another Bad: is the Likes are by true users? Will the Like disappear over night after a while (assuming the Likes are from fake users). My thought: this is the most expensive method. Why not give out some freebies or organize a lucky draw for those that liked your Facebook page. Majority of the internet users always like some freebies. According to Wiki: Reciprocity in social psychology refers to responding to a positive action with another positive action, rewarding kind actions. Bad: some Liked Facebook page to get points, they will unlike after a while. This method also very time consuming. My thought: some of the website that offering this system usually use point system. You pay out points for others to like your Facebook page or visit website or G+ or view YouTube video. You will earn points by liking others Facebook page, visit websites and etc. If you feel frustrated with slow pace, you can always buy points with money, which become similar to 3rd method. Spend some money to expose your Facebook page to targeted audience. Good: Very easy to target your desired audience, and performance of each ads can be monitor. Bad: Need to learn how to write Facebook ads. My thought: Very cost effective and the controlability of the ads. We can manage the cost of it as well. The most important thing with Facebook page is engagement with audience, as well as the content of the page. There will be little Likes if there is no content or no engagement with the Facebook users. Hey hey, looks like I have not posted any waste time post on Tuesday before. (If you found it, let me know please, because I have almost 700 posted since Jul 2009). Now here is one, heheh. 2. Block the camera which act as the input of this machine. 3. Play with it from the angle that the camera cannot see you clearly. 4. Show the rock-paper-scissors by very very small movement only. Okay, enough bull****. The fact: Ishikawa Oku Laboratory of The University of Tokyo create this rock-paper-scissors overload, it uses it's camera to analyze human hand movement and reacts within 1 milisecond. I wonder if it can beat the champion of rock-paper-scissors world championship. I were asked to try out Kingdomality personality test few days ago. However I would think the result is not too convincing because the questions was too few and the result can be too generic. Then I remembered I did another type of personality test, it is called Keirsey Temperament Sorter®-II. Keirsey Temperament Sorter®-II is the most widely used personality test. It has 70 questions and yes it will take a while to complete them, but I think it gives a more accurate answer. Of course this test was being created to help the sales of a few books. Nevertheless the result can be a good source of reference when we want to understand our characteristic.